Last month, I celebrated five years in my beloved city of Amsterdam. You don’t go past a five year anniversary just like that. After all, this is the longest relationship I have ever been in – and moving here, the best decision of my life. But like in all relationships, you have to work on it because, you guessed it, it doesn’t always come easy. So I figured LIFE LESSONS. Ha! Don’t we all love/hate that? Five years of Amsterdam, five lessons. Here are my two cents on what starting from scratch in a totally new place has taught me, on a spiritual level. In another life I sang with a robe on, in a real stage, with a real band. At a certain point I had to let go of the band, the stage, and the robe. But I am working on making music again. Ha! 2. Gain perspective. You can apply this to everything. When you look at the bigger picture, you stop taking things personally. Because you understand you are part of a bigger context in which a lot of times you have absolutely no control over, and therefore it doesn’t revolve around your self. Whether you feel anguish regarding a situation or a person, accept whatever is going on. Like: REALLY. Resisting the fact that the situation is taking place in the way it is, will only make you feel even more tired and frustrated. Try to detach yourself from it, and let go. Remember, you are not your circumstances. When I arrived to this city I embraced a job I didn’t really like, only to start feeling miserable after a while. That was until I realized, wait a minute, this isn’t me. I accept I am in this situation, which I consciously chose for, and which is necessary for me to go through this period. But I know who I am, and this doesn’t define me. This thought was a true solace at the time. You are not a job, you are not a relationship, you are not a nationality, nor a specific image people have of you. You are something so much deeper and complex and unattainable than that. Your anguish and personal dramas will become relative if you take a bird’s eye view to the scenario from time to time. Also, by gaining perspective, you are able to put yourself in other people’s shoes, and eventually understand their behavior and decisions. This is especially important when you are confronted with a culture different from your original one. In another life, I worked at a restaurant located in a very touristy area of Amsterdam. In this specific photo, standing next to that spare-ribs board ( I KNOW), I was doing my best to focus on my mantra “YOUARENOTYOURCIRCUMSTANCES”. 3. Take initiative. 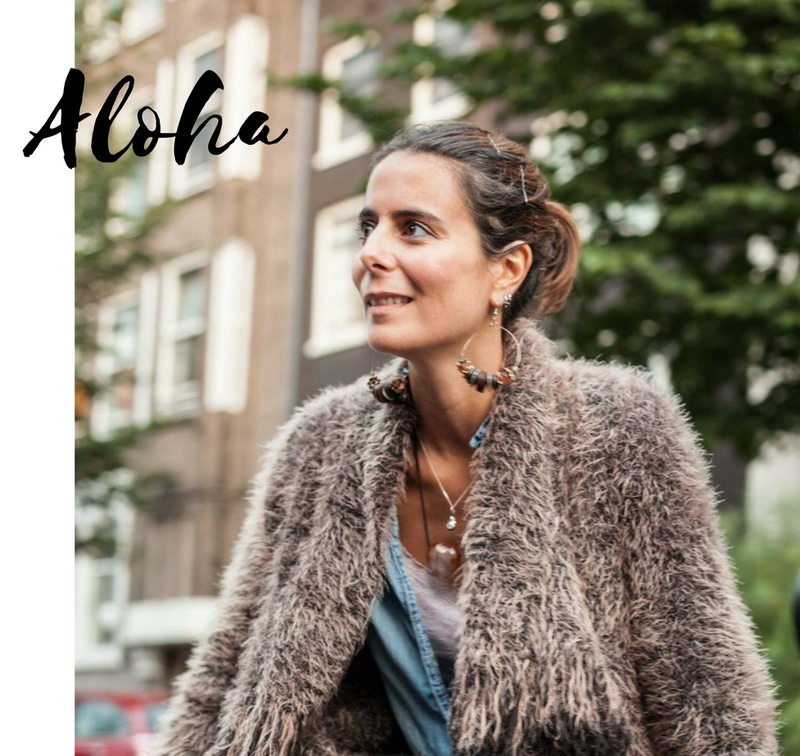 Luckily, before moving to Amsterdam, I was very aware of the fact that I had to become pro-active if I wanted to be happy in a new environment. The thing I focused the most when I arrived was reaching out to people. I wrote to acquaintances, friends, friends of friends, and bloggers who were living in The Netherlands. I knew I would be ignored – that’s part of the process. But you know what? Most answers were surprisingly positive, and everyone I met ended up helping me in one way or another. In an unknown country nobody knows who you are or what you do. If you don’t talk to people, if you don’t ask that question, if you don’t send that e-mail, if you don’t get out of the house, if you are unwilling to take risks, things will not unfold in the way you had hoped. This is true for making friends, getting a job, finding a house, starting a business, and even finding a good love-match. GET OUT OF YOUR COMFORT ZONE. Nothing will come your way if you remain passive. And even though there are specific circumstances you cannot change, there are always small steps you can take to improve the state of affairs. By the way, taking initiative is a synonym to: GIVING. Start by giving yourself to others, instead of permanently expecting things from them. Taking initiative by giving your time, your attention, your enthusiasm, your good-will to others. If you do this with a soft heart and an open mind, you will receive. Guaranteed. See this GEZELLIG scenario? That night I went out alone. Happens very seldom. But it happens. Turns out, I saw one of the best concerts of my life, and I made a friend. Taking initiative RULES. 4. Nothing is permanent. Again: breathe, accept, let go. No down period remains forever, ( that first job I quite disliked five years ago is long gone, thank god). But on the other hand this applies to your best phases too. Friends who move back to their countries of origin, relationships that fall apart, exciting projects you take part in eventually come to an end. Accepting that everything comes and goes, like ocean waves, will make easier to learn how to surf them ( or sometimes just float on them). To let go is one of the most important spiritual lessons one can learn. Because by detaching yourself from a situation or person, you let go of your ego too, and in that process there is relief. Okay, this is easier said than done, I agree. Some people seem to be able to do this quite effortlessly. But for someone like me, it needs yoga, meditation, and periods of solitude. You see, one of my best friends recently traded Amsterdam for London. I let go. And I am still alive. 5. You’ll repeat the same mistakes. And that’s all right. You are a human, not a robot, and therefore you might end up confronting yourself with that same old mistake of yours. To accept this is the hardest part, at least for me. But I’m getting better at that. First step is cutting-short with self-mortification. Some cycles are difficult to break, and a lot of what we consider “mistakes” are in fact “automatisms”, strategies we developed from an early age just to be able to deal with crap we were surrounded with. One needs to survive – and that process might make you develop the strangest habits. And if those habits are more destructive more than helpful nowadays, it’s time to put things in perspective, and start developing more uplifting ones. Doing this slowly, one step at a time, did help me. And now it is the moment I wonder which of my mistakes to take as an example to illustrate this piece of writing. Very lucidly, I hold myself and spare you from the too-much-information awkwardness. I’ll simply say: try to get hold of what triggers you to behave in a specific way. Reach out for help when necessary. And then go back to point number one. I don’t smoke. But this is me smoking. Automatisms, anyone? Want to read more stories? Follow Amsterdam on Facebook if you wish. All updates are shared over there, including Instagram ones. Next postYoga is the road. Tula, the vehicle. Pingback: Yoga is the road. Tula, the vehicle.